Pebble's new Pebble Time smartwatch, which hit Kickstarter yesterday, surpassed the $1 million mark within just half an hour, becoming the fastest-earning project in the crowdfunding website's history. This compares with the original Pebble watch, which took 27 hours to hit that milestone. In a blog post, Kickstarter revealed that the project was also the fastest to reach the $5 million milestone, beating previous record-holder the Cooler Cooler, which took over a week (7 days 6 hours) to hit that mark. As of writing, the project has already hit the $8m funding milestone, which is 40 times more than its initial goal of $500,000. 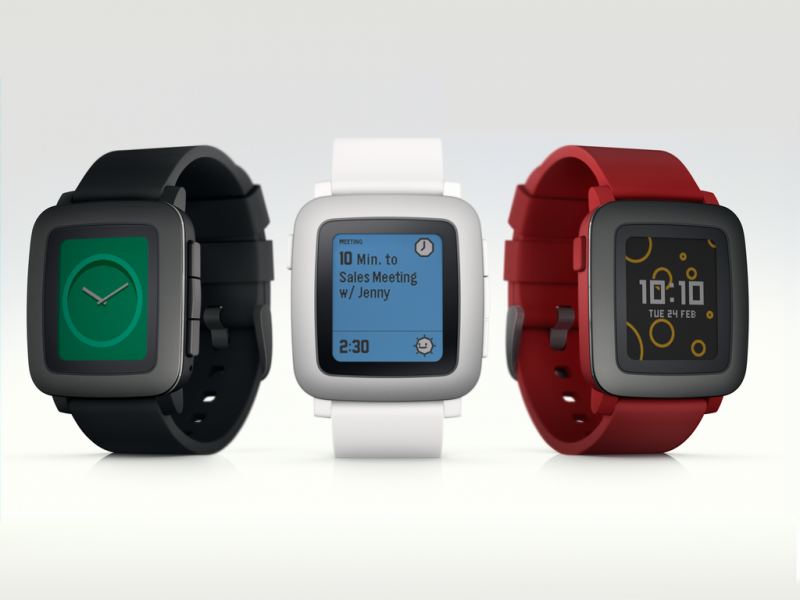 The Pebble Time is said to include a new color e-paper display as well as a microphone for responding to messages and capturing voice memos. The 9.5mm-thick smartwatch, which comes in black, white and red, is 20 percent slimmer than previous models and uses Gorilla Glass to protect the display beneath. The device, which is compatible with iOS as well as Android, runs an updated version of the Pebble operating system with a user interface the company is calling Timeline, which focuses on providing relevant, at-a-glance information such as travel updates, news, weather, and reminders. Just like the original Pebble and Steel watches, the Time is also said to have a 7-day battery life. The smartwatch is set to go on sale in May with a price tag of $199, although you can get it for $179, if you pledge at least that much to the company's Kickstarter campaign.